The Insurance Institute for Highway Safety had recently conducted a survey, the results of which have defied the belief that a greater percentage of elderly drivers were involved in US auto accidents. The result of this study comes as pleasant news to all elderly aged 60 and above. It was so far believed that drivers who are nearing the age of 30 were less likely to cause accidents and hence enjoyed the benefit of cheap auto insurance. The drivers aged above 60 or 70 were considered to be more prone to cause accidents but the recent study of data between 1997 and 2008 revealed a change in the same. As per the data that was collected by IIHS, the number of crashes has dropped by as much as 37 percent in all cases where elderly aged above 70 were involved. This result seems better when compared to the 23 percent decline in crashes when considering the drivers in the aged 35 to 54. Elinor Ginzler, Vice President of AARP said that AARP was delighted that the results of the study had defied the stereotypical view about older drivers. Considering the increasing population of the elderly and the report that is favorable to them, there is hope that auto insurance companies may make changes that proves to be beneficial to the elderly. Another point that the auto insurance companies may note in that with the increasing population of elderly, there is also an increase in the number of them having driving license. 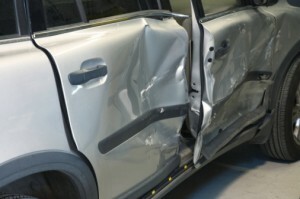 Many experts predicted that the number of crashes involving elders above the age 65 would only be on the rise. Such a prediction was even published in the journal Injury Prevention in the year 2002. The study also indicated that the number of such crashes would decrease drastically by the year 2010. According to the study named Older Driver Involvements, 14 percent of the crashes involved drivers aged above 65 in the year 1999. By year 2010, it is bond to drop to 9 percent and then increase to 13 percent by the year 2020. Though such predictions are being made, we need to wait and analyze the trend to know if they are right or are bound to change. Each state may have different regulations that have to be complied with when it comes obtaining insurance. It will also help us know if insurers can use age as a rate-determining factor in that state. However, motorists over the age of 55 can avail a discount if they possess a certificate obtained through a safe driving course. It is best to make use of the directory to know all benefits you can avail and how to make the best of it.